These disposable clean face towel can be used for beauty salon, sauna, foot. Using disposable towels is a safe, effective, convenient and economical way of improving hand hygiene. 1 box x Disposable towels. Material: Coral Velvet. hope you can understanding, will be sincerely appreciated. Made in Korea. - Size : 15(cm) X 14(cm). Color: (as picture). eCheque will be held until cleared. You may also like. High 10.8cm. Product category disposable wash towel. Applicable to the crowd. Outline; selected cotton spunlace non-woven fabric made, feel delicate and soft, touch skin care comfortable, suitable for facial cleansing care, beauty unloading daily wash and so on. 10pcs Outdoor Traveling Portable Non Disposable Compressed Towel Non-woven Eco Towel. 10 pcs Non Disposable Compressed Towel. Compressed towels, clean, easy to carry, soothing beauty! Anyway we will try our best to avoid this kind of thing. Drying off with a soft and fluffy bath towel is a great ending to a relaxing bath or shower. 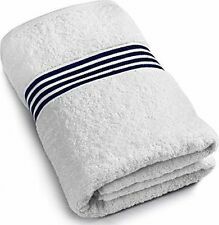 A good 100% cotton towel or washcloth is an affordable everyday luxury that will maintain a cushy feel even through multiple washings. Available in a wide variety of textures and colours, the investment in a quality collection of towels is sure to enhance any bathroom decor. What sizes of towels are available? 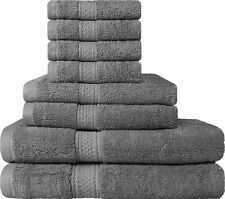 Towels for the bathroom come in many sizes: washcloths, fingertip, hand towels, bath towels, and bath sheets. Depending on the size of your room, some or all of these options may be a good choice and can be a matching set or a fun mix and match collection. What materials are bath towels made of? Most pieces are made from highly absorbent cotton terry cloth. Turkish cotton or Egyptian cotton are commonly used in high-quality towels and have a plush and luxurious feel. Some smaller towels designed primarily to be used for hair drying are made from absorbent microfiber. What colours are towels available in? 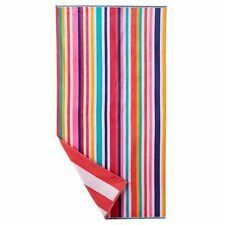 Many different colour options are available for towels of all sizes. A white towel is a traditional choice as it will coordinate easily with any other colour and most room decor. Solid colours in neutral shades like black, navy, cream, tan, dark red, and grey are other common choices for bath towels. Fun or sophisticated prints are also available and could be a good choice for a kids' bathroom or as part of a thoughtfully coordinated and elegant room design. What textures or designs are available for bath towels? Most bath towels are available in ringspun or combed cotton. Ringspun cotton has had its fibers twined together to create greater softness, while combed cotton has been literally brushed for more uniform fiber length. A jacquard piece features a pattern woven into the towel itself and is usually made of a high-quality cotton. Fingertip, hand, or bath towels can also be monogrammed for a personalized and refined look. A woven strip known as a Dobby border is frequently used as a decorative feature to give a washcloth, hand towel, or bath towel a fancier appearance, and a full-piece ribbed pattern can also add visual interest to a basic design. 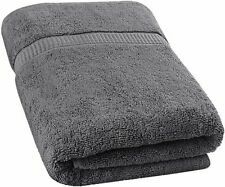 Do cotton bath towels come separately or in packs? Most washcloths and towels come in sets, most often offered as a pack of multiples of the same size. Multi-packs usually consist of neutral colours like white, black, or grey. Towels can also be sold as a matched collection of several different sizes, such as two washcloths, two hand towels, and two bath towels. Seasonal washcloths or hand towels are typically available as singles or small packs of two or three and can be used to lend a fun and festive touch to a master or guest bath.